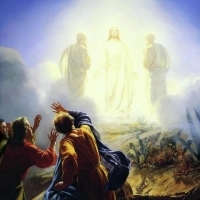 The Transfiguration is but another Holy Mystery in the Life of Christ during His Time on earth. It also can have meaning for us in our lives today as we endeavor to live our lives as witnesses to God's Love and the work of the Holy Spirit in us. The mystery of the Transfiguration lives in preparing our hearts and minds to be ready and open to the movement of God and the Holy Spirit assists us to be aware of the Holy Mystery that lives within each of us as we look to the Lenten season. The retreat will be limited to 20 participants. Mark your calendar now. The opportunity to sign up in Realm and more information will be available in late January!